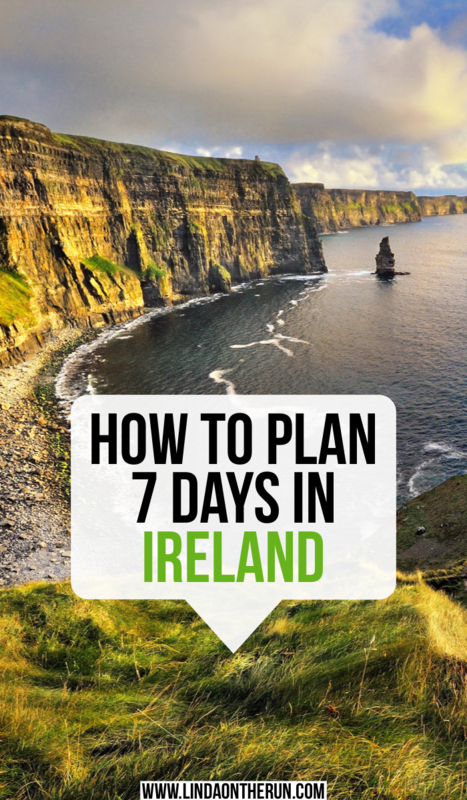 Are you looking for the ultimate 7 day Ireland itinerary? 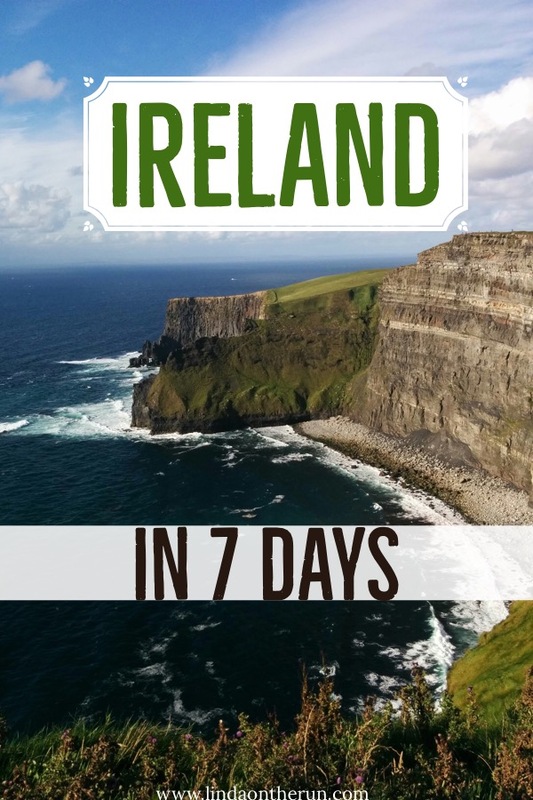 Seven days is a great amount of time to explore the Emerald Isle. I was in Ireland with my family and our 7 day Ireland itinerary road trip was filled with the best Ireland had to offer. 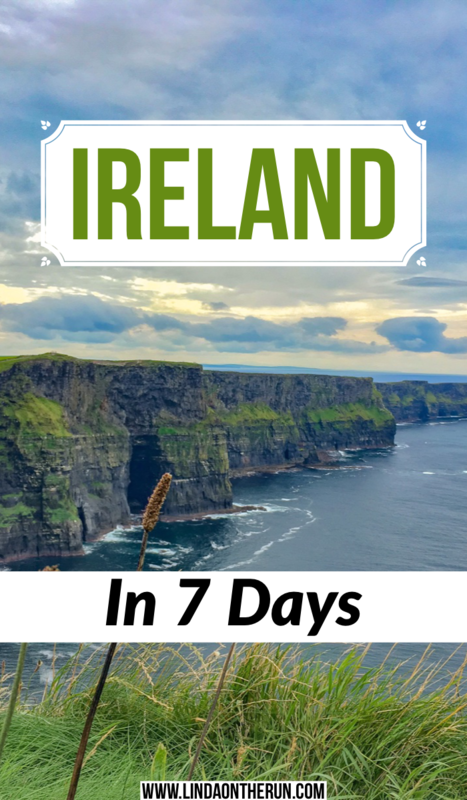 My visit was so fantastic I want to show you how to have the same experiences when you plan your own ultimate 7 day Ireland itinerary. I am not going to put specific time suggestions for each stop on your trip, you decide how long or how little time you want to spend in each location along your 7 day Ireland itinerary trip. Day 6: Check Doolin And The Cliffs Of Moher Off Your Ireland Itinerary Bucket List! You most probably will begin your 7 day Ireland Itinerary road trip by flying into Dublin International Airport on Dublin’s east coast. It is a very busy airport with a lot of relatively inexpensive international flights in and out of it every day. If you are looking for suggestions on how to pack for your Ireland itinerary, read my advice on how to pack lightly. And if you want to remain healthy during your Ireland itinerary road trip, read my tips on how not to get sick on an airplane. If you need a car rental for your Ireland itinerary transportation, car rental companies have customer service desks located conveniently adjacent to baggage claim. You will need to board a small tram to get to the off-site airport location where your car is, but it is a fast and easy process. Dublin is the capital of the Republic of Ireland and there are over 500,000 people who call Dublin their home. Dublin is full of history yet has a cosmopolitan flair. When I stayed in Dublin my Air B&B was inside Dublin’s city walls and all shopping, restaurants, and attractions were easily accessible by walking. I would suggest beginning your day in Dublin at Dublin Castle. It is located in the heart of Dublin and is steeped in history. You can wander around on your own or take a guided tour which requires a small fee. Dublin Gardens and the Charles Beatty Library are both adjacent to the castle and worth looking into. A tour of the Guinness Storehouse is a really fun thing to do whether or not you like “the brown stuff.” I found it very interesting. The self-guided tour is through 5 levels of Guinness history and you cannot miss the Gravity Bar on the top floor with its 360* views of Dublin. Yes, beer is included on the tour! 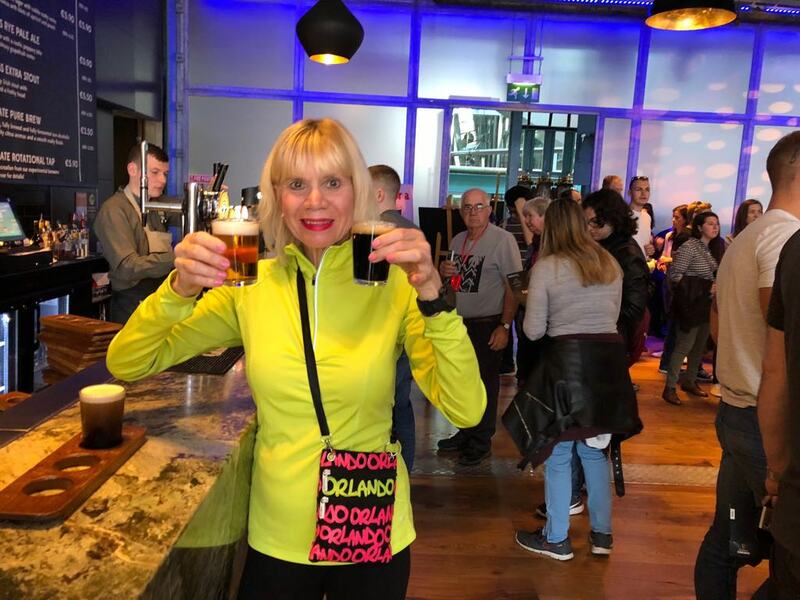 Here I am with my Guinness beer samplers as part of the Guinness Storehouse tour, a fun thing to add to your Ireland itinerary. A not-to-be-missed attraction to be on your Ireland itinerary is visiting Trinity College and the Book of Kells. I would skip the outdoor tour of the college and head straight to the Long Room Library and the Book of Kells! Here I am in the Long Room Library, at Trinity College. The trendy Temple Bar area is a great place to wander around to cap off a night touring Dublin. It is several blocks of bars, restaurants, and shops that boast an eclectic vibe. 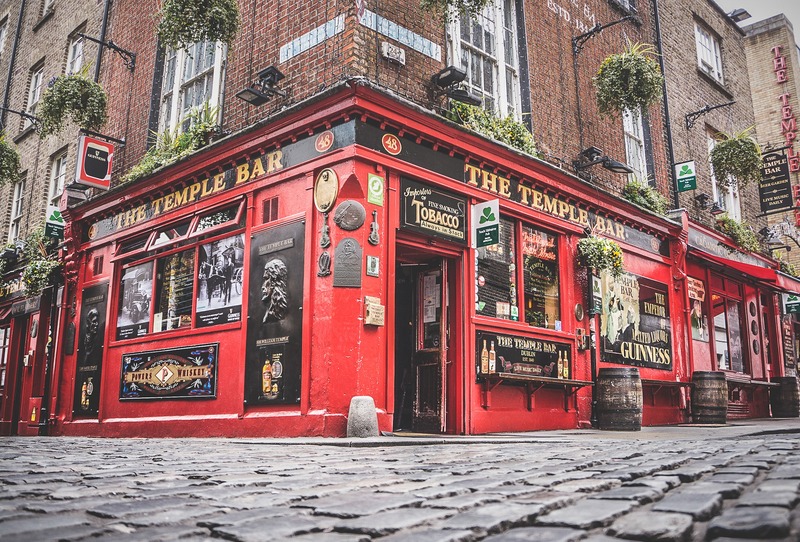 The Temple Bar is very crowded, so if having a drink in this authentic Irish pub is on your Ireland itinerary list, please leave plenty of time. Dublin’s iconic Temple Bar. A popular location to add to your Ireland itinerary. For more suggestions of additional things to do in Dublin during your Ireland itinerary trip, read this next: The Ultimate 2 days in Dublin Itinerary. Begin the second day of your 7 day Ireland itinerary by leaving Dublin to discover the treasures Ireland’s Ancient East has to offer. You will head to the iconic Rock of Cashel, in County Tipperary, where St. Patrick himself visited and baptized kings. The Rock of Cashel is very spectacular and one of the most visited of all Irish attractions. It sits high upon a hill in Cashel. There is an entry fee which includes a very informative guided tour. Learn how and who has the privilege of being buried even to this day in the cemetery on the Rock of Cashel as well. Make sure you bring your camera because the views of the Irish countryside and the sheep grazing are amazing. The Rock of Cashel in County Tipperary, situated high on a hill is a must see to add to your Ireland itinerary list. Across the road from the Rock of Cashel, you will find the ruins of Hore Abbey. Hore is Gaelic for ‘brown,’ the color of the outfits the monks wore when it was a working abbey. Today it is an abandoned abbey that is a fraction of the size, yet so full of its own history. It is situated on a large parcel of land and is a short walk from the road. It is free and not considered an “official” attraction, so there are no guides or tours offered. But it is genuine and interesting and is definitely worthy to be an addition to your Ireland itinerary. Another camera-worthy attraction too. Outside the ruins of Hore Abbey. Any Ireland itinerary must include kissing the Blarney Stone! Also referred to as The Stone of Eloquence, for over 200 years scores of people have ascended Blarney Castle, to kiss the stone to gain “the gift of gab.” From Cashel head to Blarney, 5 miles outside of Cork. There is an entry fee, but the grounds of Blarney Estate are stunning and well-manicured. I never realized there was so much to do there. I thought we would “kiss the stone” and then leave. Nothing could be farther from the truth. So, you will also want to explore the gardens during your visit. However, if you are like us, you would naturally head to the Blarney Castle first to kiss that stone. We certainly did and waited in a very long line. Later in the day, we noticed no line at all. So, consider meandering the grounds and admiring the 60 acres which include various gardens, walks, and streams. After expending all that energy, stop at the quaint Stable Yard Cafe and for refreshments and a well-deserved rest. I am getting into position (with a wary look on my face) to kiss the Blarney Stone. One of my number one things to do on my own 7 day Ireland itinerary road trip! When you are ready, head to Blarney Castle. You will have to climb a steep winding stone staircase to get to the top. The views out the openings of the property and adjacent countryside are breathtaking. Once on top, you have to walk several steps to where the stone is. When it is your turn, there are assistants to help you sit down. You will then have to lay down and put your head backward, and you kiss the stone upside down. It is below where you are sitting and you have to reach for it. It really is such a cool experience. Have a camera ready for this one of a kind moment during your Ireland itinerary! I did it! Here I am kissing the Blarney Stone upside down, laying down with my head all the way back. Yes, it was worth it and I suggest you add this memorable experience to your Ireland itinerary! Consider putting Cork on your Ireland itinerary as a great location to spend the night at the end of your second day. Only a few hours from Dublin, Cork is centrally located and easy to get to. 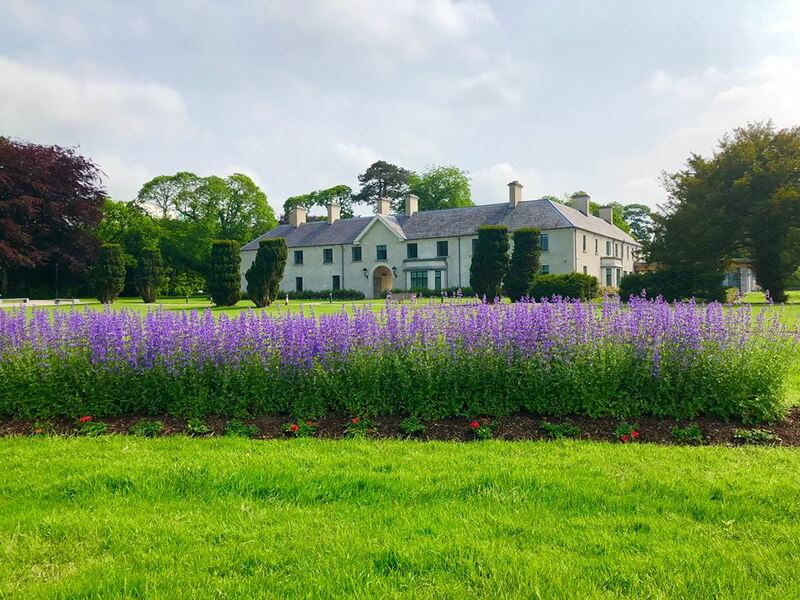 We spent the night at the Hayfield Manor, an excellent choice to add to your Ireland itinerary when selecting hotel accommodations. Read about my experience at the four-star rated Hayfield Manor Hotel here. Looking to pamper yourself? Look no further than the luxurious Hayfield Manor Hotel. 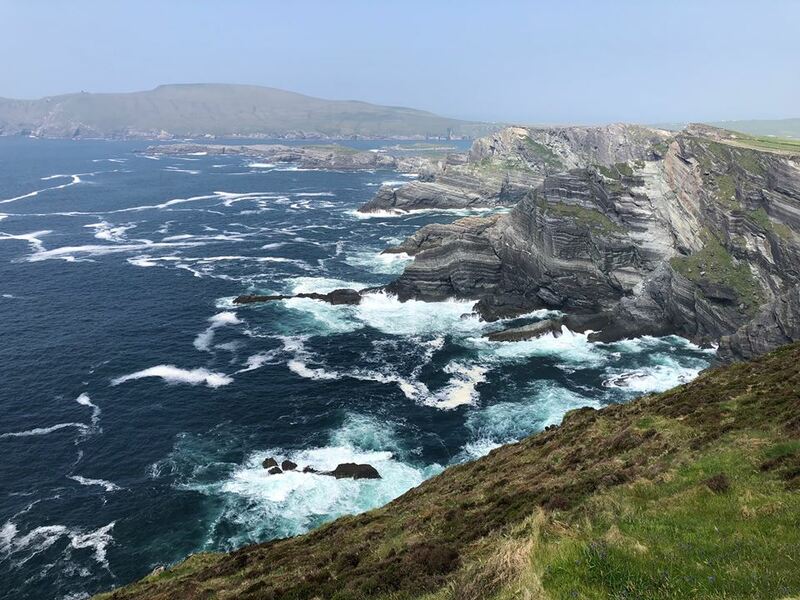 No trip to Ireland is complete without driving at least a part of the famous Ring of Kerry and should be a top thing to include on your Ireland itinerary. Legendary for stunning-beyond-belief panoramic vistas, the Ring of Kerry will not disappoint. Please be aware though, the roads are very narrow, (think one-lane wide!) and twist and turn wildly as you travel through the rugged Irish countryside. If you see another vehicle approaching in the opposite direction, it is best to slow down and pull over to let it pass. This advice goes double if it is a large tour bus coming towards you! Pull over and let it pass. I was overcome with a severe case of motion sickness when I traveled the Ring of Kerry during my own Ireland itinerary road trip. And sadly I was not prepared. If you also are prone to motion or car sickness, I want you to be prepared for the Ring of Kerry! These anti-nausea acupressure wristbands are a cheap option for you to bring on your Ireland itinerary road trip. Another idea to curb the symptoms of motion sickness is the motion sickness patch which is also very inexpensive. And Bonine tablets or Dramamine tablets could also help prevent or lessen nausea that often accompanies motion sickness. Whichever you choose, I want you to be aware motion sickness is a rather common occurrence on the Ring of Kerry, and I want you to be ready for it during your own Ireland itinerary trip. You will definitely want to add stopping to view and admire the Kerry Cliffs on your Ireland itinerary! They are very spectacular and said to resemble the Cliffs of Moher but in miniature. I can admit, I thought they were nothing short of amazing! Viewing them is done on the Skellig Ring Road. It is directly off the Ring of Kerry, but do not worry, there are LOTS of signs and you will not miss the turnoff. When viewing The Kerry Cliffs, be sure to look for the Skellig islands out in the distance. This is where a Star Wars movie was filmed. There is a small admission fee to see the Kerry Cliffs, and they should not be missed! You will be able to take a wonderfully memorable walk to view the cliffs and islands out in the distance and take lots of pictures! Stunning tumultuous seas at the Kerry Cliffs. You can view these seas and cliffs as well if Kerry Cliffs are on your Ireland itinerary. Valentia Island is located less than two kilometers from the Kerry Cliffs and Skellig Ring Road. It is home to charming Irish seaside towns and home to an iconic lighthouse (admission fee required) and this is a wonderful location to add to you Ireland itinerary. You could stop for refreshments and enjoy the seascapes! When we visited, we drove onto the island over a bridge and left on their car ferry, an unusual experience for me. It was quite fun. Located in County Kerry, there are not enough words to describe Killarney. Situated off the Wild Atlantic Way and The Ring of Kerry, there is such a wide range of things to do in Killarney that everyone in your Ireland itinerary party will be satisfied. Killarney is the gateway to Killarney National Park with its own myriad of things to do: walking, running, hiking, and kayaking. Downtown Killarney is home to world-class shopping and restaurants. There is plenty of history in Killarney too! Queen Victoria visited Killarney after generously giving six years notice of her visit. she stayed at Muckross House, which today is a very popular Irish national treasure. You can wander the grounds and farm of Muckross House, but there is a small entry fee to tour the house. This attraction gets extremely busy, so please take this into consideration when planning when to visit here as part of your Ireland itinerary. Heading out on Kerry Road you will drive into Killarney National Park and see the absolutely most beautiful scenery. At the entrance to the park, while still in town you will see Killarney House and Gardens. A gift to the Irish people, this is an attraction not to be missed! It is free to tour the house and wander through the beautifully manicured gardens. The impeccable Killarney House and Gardens. Ross Castle is also in Killarney just as it meets the national park. Situated on a beautiful lake it is free to wander the grounds, but a small fee is required to tour the inside of the castle. Along the Kerry Road, as you are driving in the Killarney National Park, you will find Torc Waterfall. 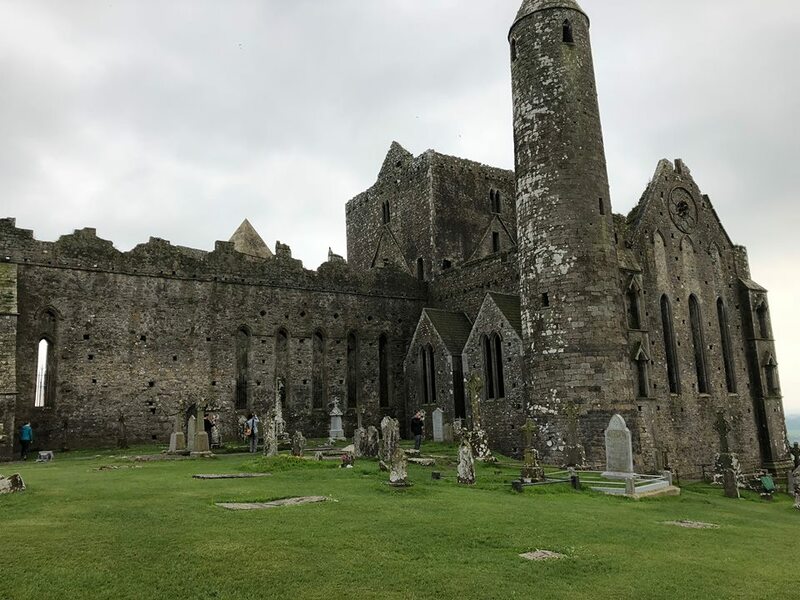 It is a must-see on your Ireland itinerary because it is very beautiful, but also because it is very easy to access as it is located a few hundred yards walk off the highway. It is a gradual uphill climb, so take your time. It will be worth it. If you are adventurous there are some moderately strenuous hikes that will take u up the mountain above the falls. 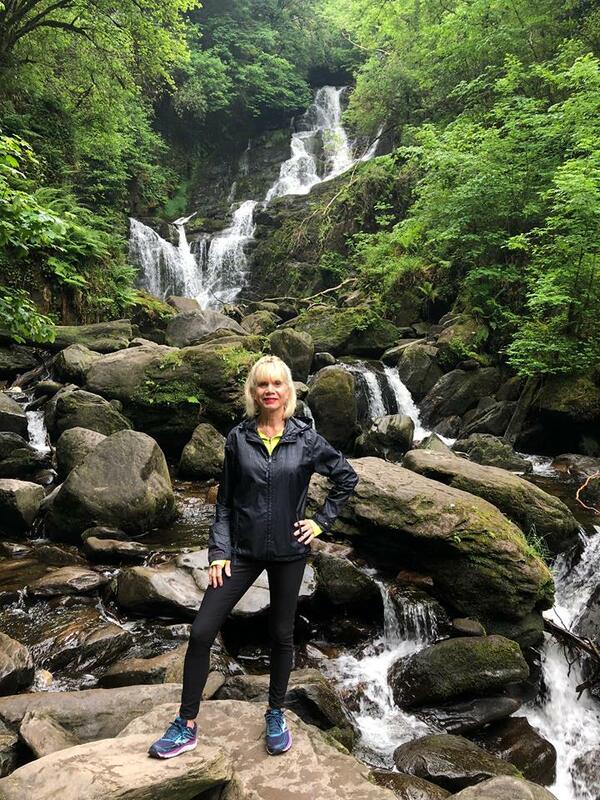 At Torc Waterfall in Killarney National Park. This is only a 200-meter walk from the parking lot, easily accessible to everyone in your Ireland itinerary group. There are so many more interesting and exciting things to do in Killarney. Read next: Five charming things to do in Killarney for first-time visitors. Dingle Peninsula, in my humble opinion, tops my list of stunning locations and panoramic seascapes and must be on your Ireland itinerary list of top places to visit. The most exciting and memorable thing you will probably do in Dingle is driving on Slea Head Drive. It is a loop drive of the Dingle Peninsula and boasts unforgettable memorable seascapes. I did not get carsick while driving on Slea Head. But a word of caution though, the road is still one-lane narrow, and there are still plenty of tour busses barrelling along to watch out for! 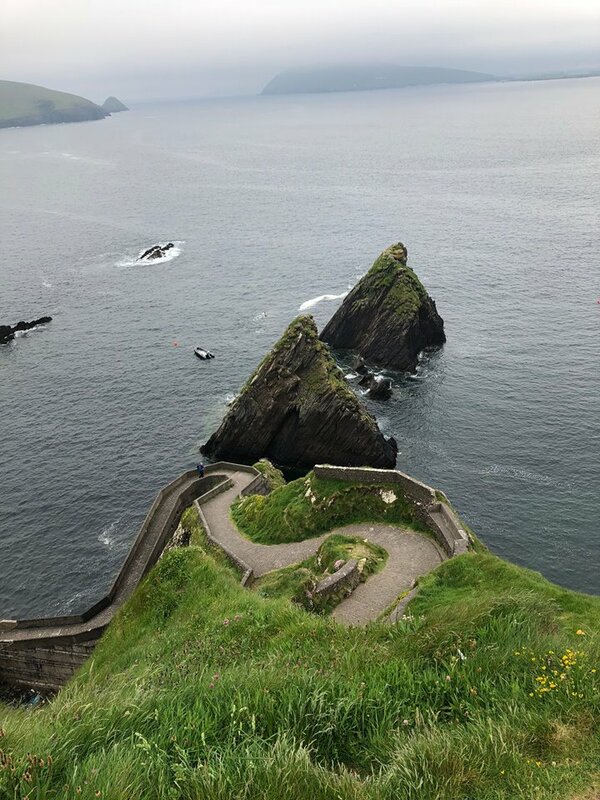 Along the Slea Head drive, you will want to stop pull over for the stunning sea cliff views, two Star Wars movie locations, and enjoy the epic Irish countryside! The iconic Star Wars rock formations used in the 2015 megamovie The Force Awakens. The charming downtown of Dingle is attention-worthy for your Ireland itinerary! It is very quaint and has lots of pubs, shops of every kind and is very walkable! 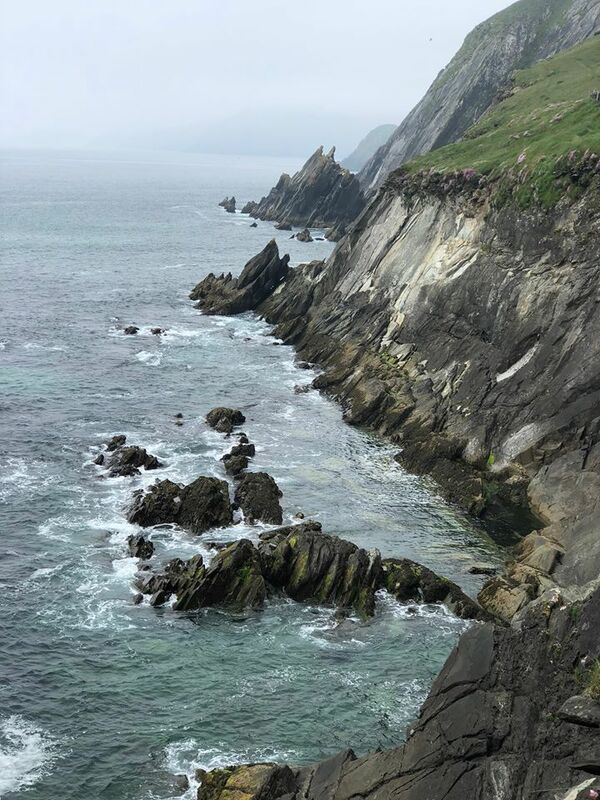 This is one of the most famous locations used for Irish publicity campaigns: Dunquin Pier as seen along Slea Head Loop. A part of my own Ireland itinerary list and could be yours as well. The charming downtown of Dingle is attention-worthy for your Ireland itinerary! It is very quaint and has lots of pubs, shops of every kind and is very walkable. There is so much more to do in and around Dingle. For lots more information, read my Top Ten Things to do in Dingle! Besides kissing the Blarney Stone, visiting the Cliffs of Moher was tops on my very own Ireland itinerary list of things to do. 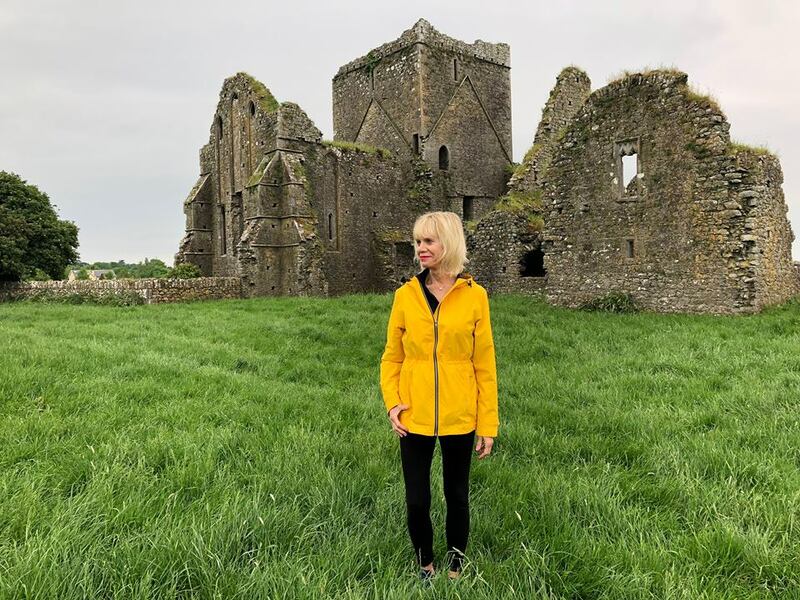 And when I realized the seaside town of Doolin, located in County Clare, was just a mere few minutes away I added it to my Ireland itinerary as well. The Cliffs of Moher boast being one of the most popular of all Ireland’s tourist attractions and deserve a spot on your Ireland itinerary. They rise a spectacular 700 feet from the Atlantic Ocean and run an impressive 5 miles along the coastline. If you drive, there is a parking fee, and because this is such a popular destination the lots are massive, but there is plenty of room for everyone. You can begin this part of your Ireland itinerary by visiting the Cliffs of Moher Interpretive Center. Built into the side of a hill, it contains information about the history of the Cliffs of Moher and useful information on how to best plan your visit. There are restrooms located at the entrance to take advantage of as well because once you begin, there are no restrooms at the Cliffs of Moher themselves. Stunning view of the Cliffs of Moher at sunset on a beautifully clear day. 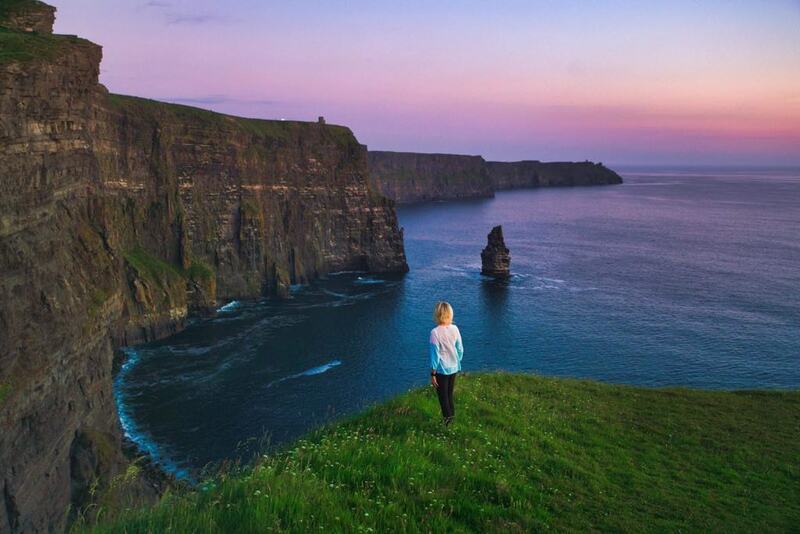 The views of the Cliffs of Moher will be one of the most memorable of your Ireland itinerary list. You can remain on the visitor center property, or meander outside and walk atop the Cliffs of Moher themselves and view them at different vantage points. There is also the Doolin Coastal Trail to explore if you are so inclined. It is a five-mile (8k) coastal trail that will take you right to Doolin! Doolin is definitely worth being on your Ireland itinerary list of seaside villages to explore! It is a quaint little place that certainly invites you to make a visit! Renowned worldwide for trad Irish music Doolin has many pubs and restaurants for you to explore whether for a quick lunch or leisurely dinner. The downtown boasts pink houses and lots of little shops for any last minute souvenirs you might need to purchase for yourself or for loved ones at home! 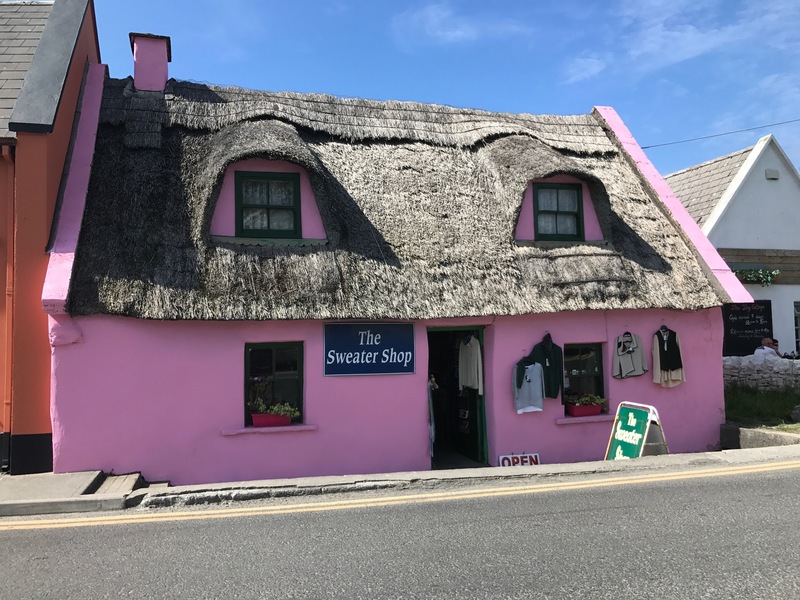 Charming pink house in downtown Doolin. Read next: 5 fun things to do in Doolin to learn more about this fun little town that should be on your Ireland itinerary. 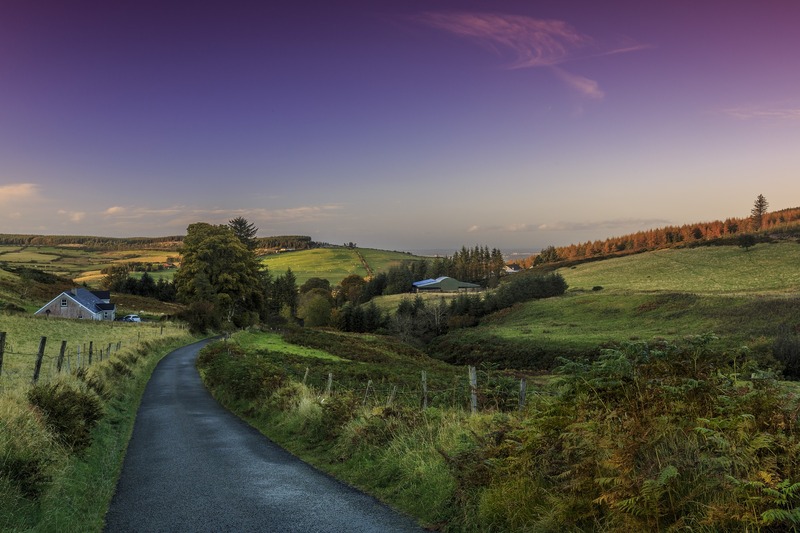 The last day of your 7 day Ireland itinerary road trip, is essentially a free day. Perhaps day seven will find you back in Dublin for your international flight back home with a few free hours to explore some Dublin sites you missed as you started on your 7 day Ireland Itinerary a week ago, like Molly Malone’s statue, or The Old Post Office on O’Connell Street. As you plan your 7 day Ireland itinerary trip from the comfort of your own home, you may choose to spend more time or less time at one of the locations I have recommended along the way. It is entirely up to you. This 7 day Ireland Itinerary road trip and all the suggestions here can be modified and adapted to your own personal timeframe and preferences. Be creative and customize a memorable 7 day Ireland itinerary trip of a lifetime you will never forget! Have you ever been to Ireland? What was your favorite part? Please leave a comment below in the comment section! Wow, just had gorgeous and picturesque is Ireland?I can not wait to visit!! Your photos at the Blarney Stone are absolutely classic… looks like a lot of fun! Omg that pink house in Doolin is everything! I also love your face kissing the Blarney Stone. I’d have that look on my face too. Also dying to visit Trinity College Library. Thanks for a great itinerary. Hi Kelly. Getting into the proper “position” to kiss the Blarney Stone took a bit of effort, but it was SOO worth it. What a wonderful memory. 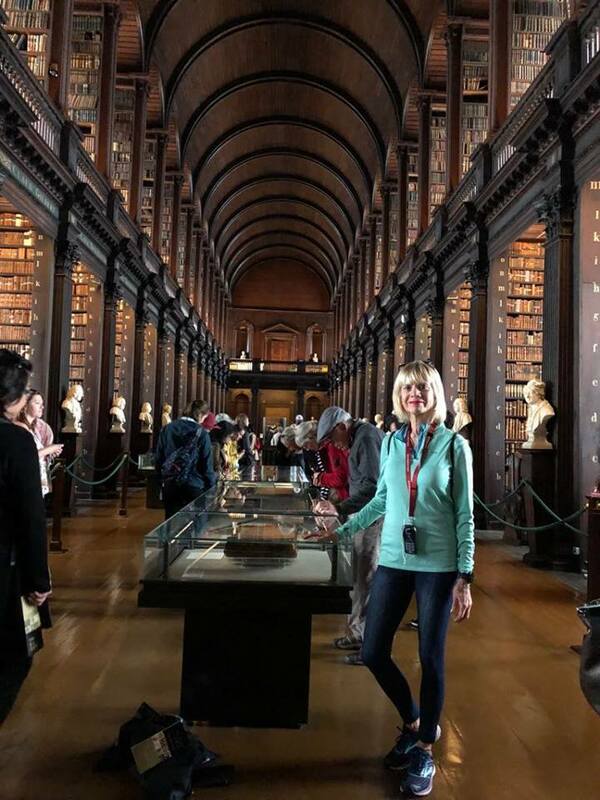 The Long Library and Book of Kells at Trinity College in Dublin are very inspiring and a definite must-see when you are in Dublin! Ireland is so beautiful! great itinerary! Thanks Sinjana. Ireland is so beautiful with so many inspiring and historical and wonderful things to see. Awwww thank you Genevieve. I do hope you make it to Ireland. Beautiful countryside and I’m bowled over by the spectacular cliffs photos. Thank you Sue. Yes, the Irish countryside is def beautiful! How do you get from one place to the next? Did you rent a car?